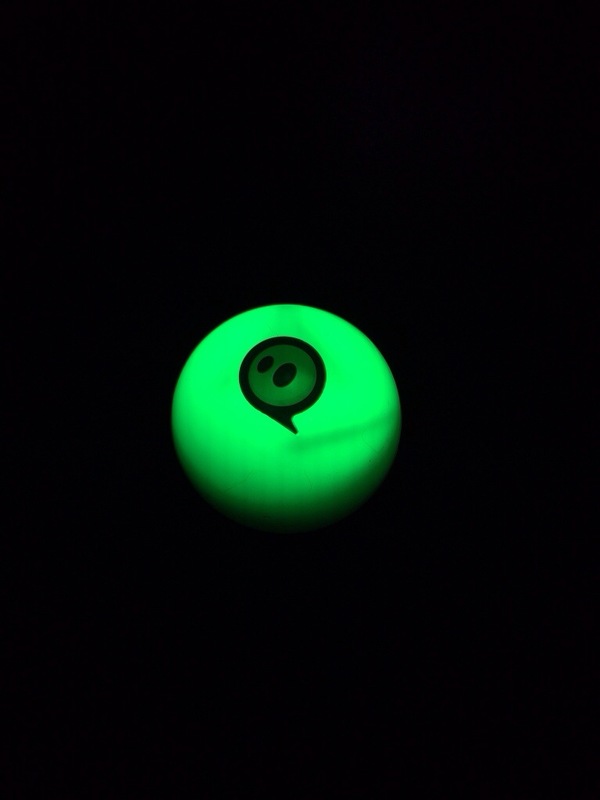 Yesterday, I received the Sphero ball. It was on a lightning deal on Amazon and consequently had a decent discount. 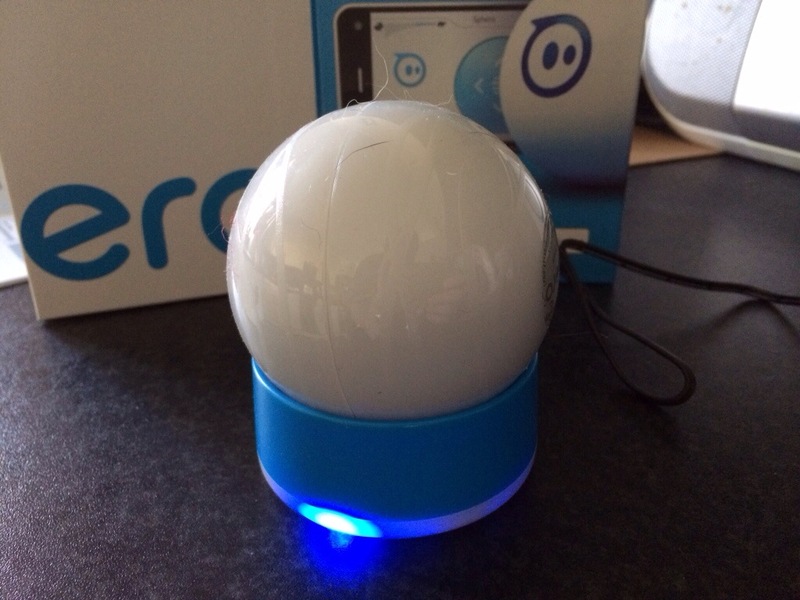 Subsequently, I realised why it was on offer, as Sphero 2 is available. The second version is capable of travelling at 7 feet per second, and across all terrains – water, concrete and more. I had no expectations of this robotic ball. In the box you get activity cards, the ball, QI charger and a number of different plug adapters. There is also a quick start guide. You are requested to go to the Google Play or Apple App Store to download the official app, which is also a universal iOS app so looks great on the iPad. You pair the ball via Bluetooth after a 3 hour charge. Each ball has a different Bluetooth code. Anyway, I will cover off more about the sphero games and other stuff it does and just cover off what I have observed and achieved. First of all, you don’t unlock all the functions of the ball. So the initial speed is capped until you pass the first level of training. Further down the line you learn about the boost mode and more. The training levels are not difficult to learn. So first up this ball on a kitchen tiled floor had no issues turning at high speed, curving and more. I could change the colour of the ball on the fly. I can make it dance and more. I have also tried it on carpet with equal success. So how do 3 dogs versus the Sphero turn out. Hilarious. The ball was chasing the 3 dogs, involved in standoffs, violent dancing on the spot if they tried to hold it which let it get released out of their grips. For 20 mins it was great fun for all. Are there any negatives ? Yes. When you first use the ball you calibrate it with the blue tail light adjusted to face you. If the ball got stuck or was held down by one of my dogs it would become decalibrated. It is easy to recalibrate on the fly but I did find this a nuisance. I have still to explore all the training levels, find all the functions and use all the Sphero games of which there are around 20. Half of these are free, the others £0.69 that I have seen so far. I honestly thought that this would be a five minute wonder. Not so sure now. It really is fun to use. More soon. Interesting…… I’m not an console/phone etc. etc. games person myself but throw in a piece of hardware and this makes it a different challenge. I must read up more on this item. It’s a clever piece of kit. Curious to get the new version which is meant to be even better.